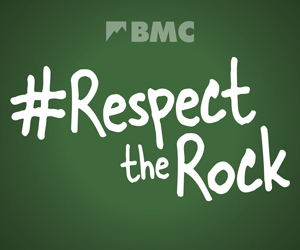 We’re building up to the BMC AGM on 16 June, which promises to be the most important in 25 years. In preparation, all members are invited to attend the Members’ Open Forum event on Tuesday 15 May where discussions on the proposed constitutional reforms – both National Council and Proposal B recommendations – will be had. Don’t miss the chance to find out more and have your say. In other adventures, if you’re tackling the big mountains this summer, make sure you get involved with the #AlpineAdventures competition where you could be the lucky winner of the AlpKit Grand Prize bundle worth over £1,000. Find out how to enter below. What constitutional changes are being recommended at the BMC AGM 2018? A debate was held in Manchester on 15 May. You can re-watch the livestream here. We’re planning a celebration of the amazing climbing on offer at Crookrise: the BMC’s newest crag acquisition on Saturday 2nd June. This moorland gritstone gem, nestled high above Embsay packs in serious quality both in terms of routes and boulders – some of the most perfect weathered features and impeccable lines anywhere. The Grand Final of the 2018 BMC Youth Climbing Series took place at Edinburgh International Climbing Arena, Ratho near Edinburgh on Saturday 28 April 2018. The BMC Student Safety and Good Practice Seminar is a must if you're involved in running a student climbing, hill walking or mountaineering club. The seminar will be held at Plas y Brenin in North Wales on Saturday 13th and Sunday the 14th of October 2018. Do you want to take on a challenge and raise money for Mend Our Mountains at the same time? Download our new fundraising pack to help you on your way. 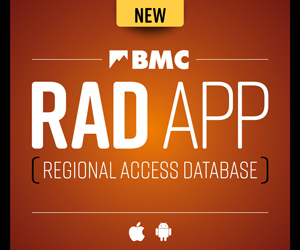 The BMC Welsh Lead Climbing Championships (Lead Cup Round 2) is being held at Rock UK Summit Centre, Merthyr Tydfil on Saturday 9 June.